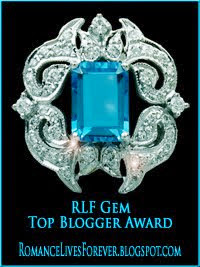 It's my pleasure to have fellow LSB author Rhonda L. Print as my guest today. Welcome Rhonda. And good luck with your new book out today! 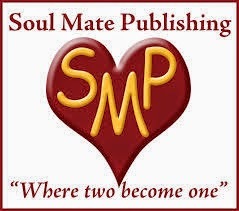 Rhonda L. Print, the Author of several published paranormal romance novels, has 20 years of experience as a romance reader. Her work includes the five star reviewed novel Nightwalker, A Leah Wolfe SINS Novel, The Order of Chaos, Justified and Guardian . 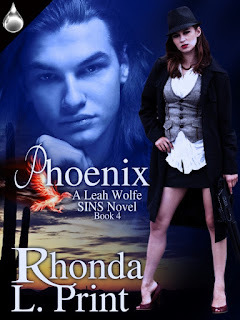 Her latest release, PHOENIX will be available in May, 2013. Born and raised in the Midwest, she relocated to the desert southwest and lives her husband who is the love of her life and best friend, and their three children. Blurb: Leah Wolfe of the Supernatural Investigations of Non-human Species—SINS for short—is learning to control her necromancer skills while balancing her life as a federal agent and fiancée to the Marquis of the vampire world, Ian Nightwalker. When her godson is kidnapped and the kidnapper offers to trade the boy for Leah, she doesn’t hesitate. Leah finds herself in the lair of Phoenix, a former Marquis bent on avenging the death of his lover. He is also a scientist who is using DNA from various species with the hopes of creating an army of Supernaturals. Leah must stop Phoenix, save those he has tampered with, and get back to Ian. But first, she must save herself. Shifting, I trailed my mouth down his neck, teasing his chest and then sliding lower, where I confirmed that Ian was, indeed, naked, hard, and eager for me. Ian lowered his lips to mine and our tongues tangled together. Short, slow licks quickly smoldered into white-hot desire as we made love to each other’s bodies with our lips and tongues. He pushed me away from him and I released him with a reluctant groan until he flipped me on my back and wrapped my legs around his shoulders. With his eyes fixed on mine, he slid his tongue out and gave me one long, torturing lick. I gasped, and he flashed me that crooked smile of his and did it again. “I love to watch your eyes glaze over in ecstasy while I devour you, my love,” he crooned before tasting me once again. I fisted my hands into the silky strands of his hair and lost all sense of sanity as he tormented my body with long, slow swirls of his skillful tongue. When I thought I could take no more, he slipped his tongue inside me and suckled on my center until I could only see white bursts of pleasure through my closed eyelids. My head thrashed from side to side. His pace relaxed and the slower he slid in and out of me, the more intense the pleasure became that shuddered through me until my body burst with rapture and insanity all at once. I screamed his name with my release, but Ian kept his mouth in place, drinking down my pleasure—as if it were the blood he existed upon. Congratulations on the new book, Rhonda. hot excerpt, nice. I love the cover of this book it's alluring. Thank you all and thanks for hosting me today! You are very welcome Rhonda and all the best with your new book!